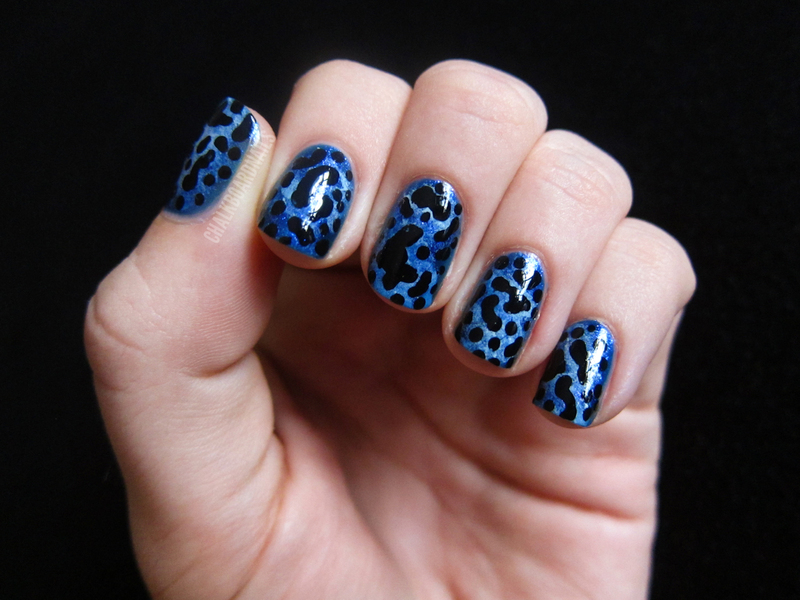 Today's theme is ANIMAL PRINT! 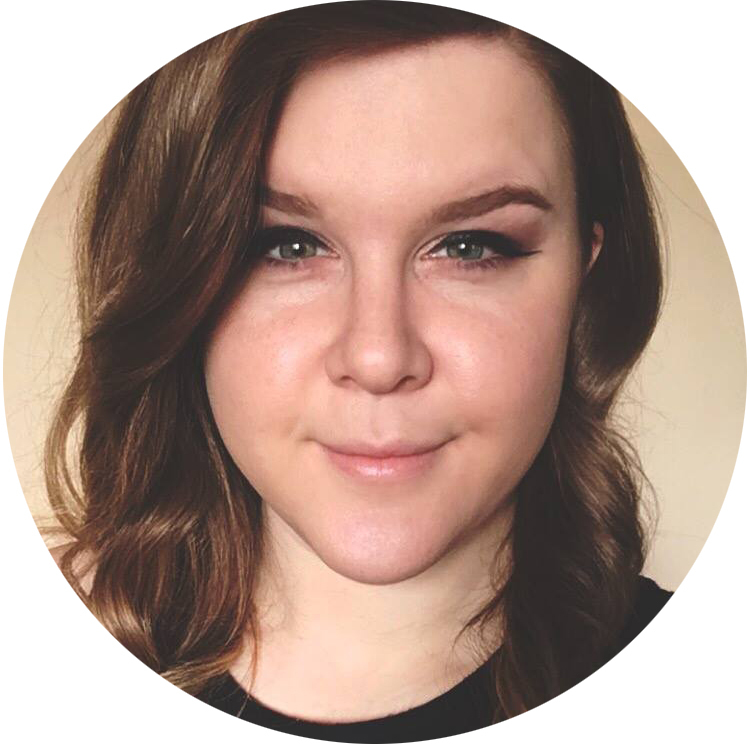 I wanted to be a contrarian and do something that I thought no one else would do, but that would also still be awesome and impressive. 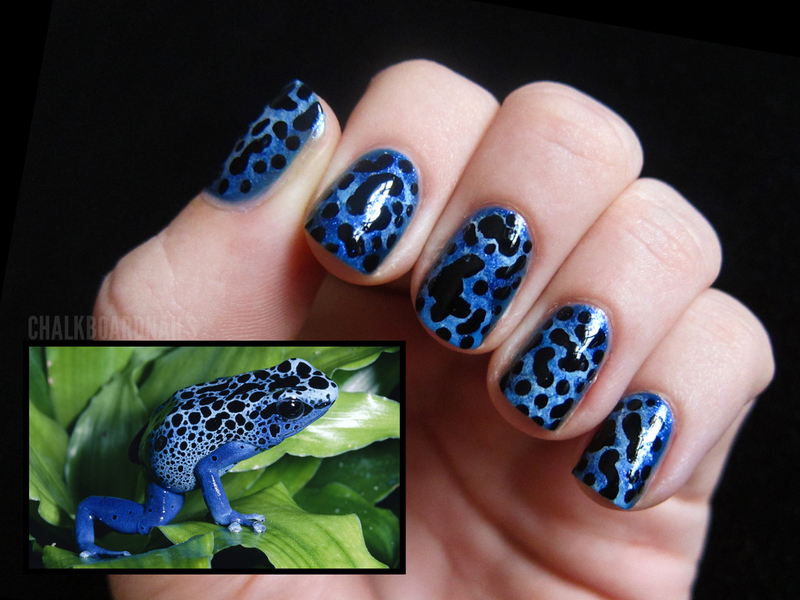 It took me and a friend a good bit of talking it out for me to arrive on this conclusion: A POISON DART FROG PRINT! I started with a base of two coats of Sally Hansen HD in Laser, and then I mixed some of that with some white and randomly sponged that on. Then, after that, I sponged some plain white on top. I added the black marks with a dotting tool, and finished with SV! I absolutely LOOOOOVE the way that this one turned out. No one will really know what it is right off the bat, but it looks interesting and fun and unique. Kind of like a Rorschach test! Thank you! If you do try it out, come back and leave me a comment so I can see it! 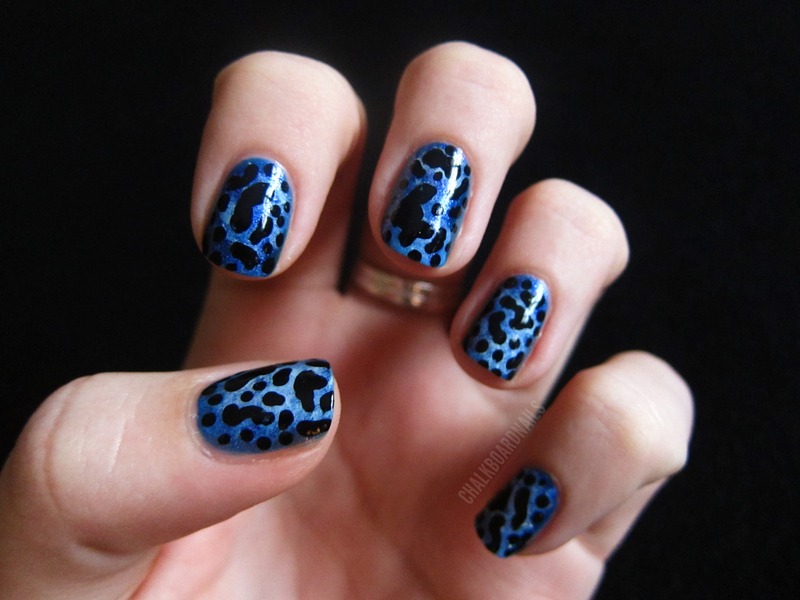 This is the most amazing idea of animal print ever!! I love that you didnt do leopard print or zebra stripes. Your is so unique! Im definitely trying this! This is really good!! I love this! The white doesn't look sponged at all and before I read the text, I even thought to myself that this is a really nice blue! Wow, this is so cool!! Love the idea! Love the picture of the frog! This looks great! Pretty much awesome and impressive!! Good work!! This is so unique and creative! Gorgeous color and manicure! hi! i really love this idea. as a matter of fact i did this mani as an inspiration for today's challenge. 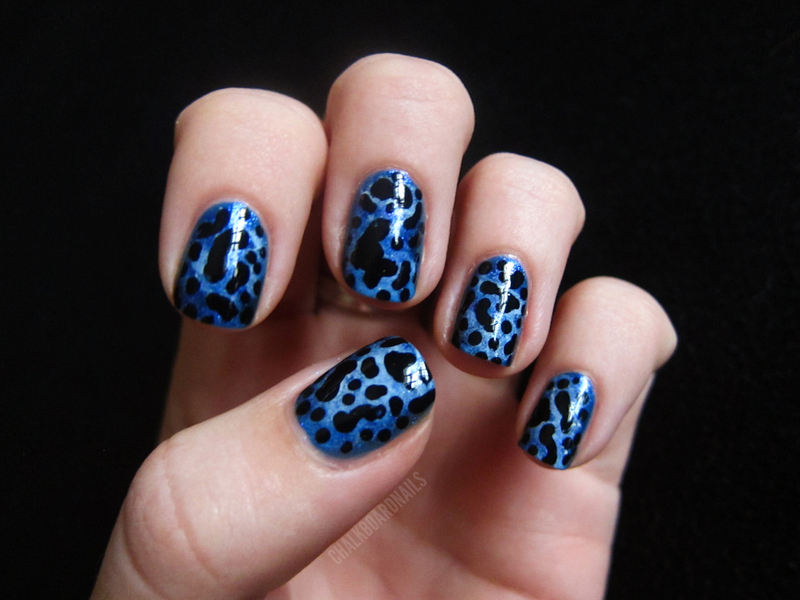 i hope you can check it out on my blog(naiilartlover.blogspot) and tell me what you think. thanks. You got the blue base color to look so beautiful. I own Laser, so you've given me yet another idea of how to use a polish I have. The overall pattern on this one looks awesome!